Elicit Crumble is produced through Clinical-Grade Solvent Extraction. According to the Cannabist.co, "Solvent is pressurized in a vessel and washed over plant material (usually dry, but sometimes fresh-frozen), then the resulting solution is collected. 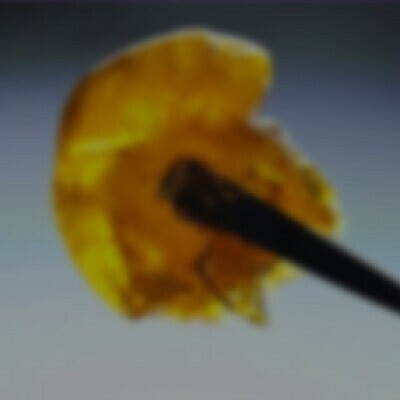 The hashmaker must remove any residual solvent from this solution, so the next step generally is applying heat (most solvents have a low boiling point) and vacuum (which lowers the boiling point further) in order to make this process easier and faster while retaining the highest amount of flavorful terpenes and cannabinoids in the finished product. Solvent extracted products generally test between 60 percent and 90 percent THC, making it perhaps the strongest concentrate on the mainstream market."